I've started going back to some of the crates containing the first books purchased when I started on the path of creating a subscription-based genealogical database. (More on that later) And in the process came across "The Great Chicago Theater Disaster, The Complete Story told by the Survivors," by Mashall Everett. Wow, what a tragic story. Over 600 people died in what remains the deadliest theater fire in the United States. The fire occurred on December 30, 1903 in the newly-built Iroquois Theater on West Randolph Street in Chicago. The theater had only opened the prior month, and was thought to be designed with all sorts of innovative fire prevention and protective measures. The book contained a lengthy list of the victims, which I've added to the Genealogy Today Subscription Data collection. There are free copies of the list online, but I've included all the details and dozens of photos of victims that are in the book. I guess the author must have gone around to the victims' families and asked for portraits. Sadly, since this was a matinee, the victims were mostly women and children. I've also transcribed the Verdict of Coroner's Jury from the book, which sheds light on the many deficiencies of the theater and the suggestions the jury put forth to make sure this never would reoccur. You can find the verdict in the Family History Wiki at Genealogy Today. 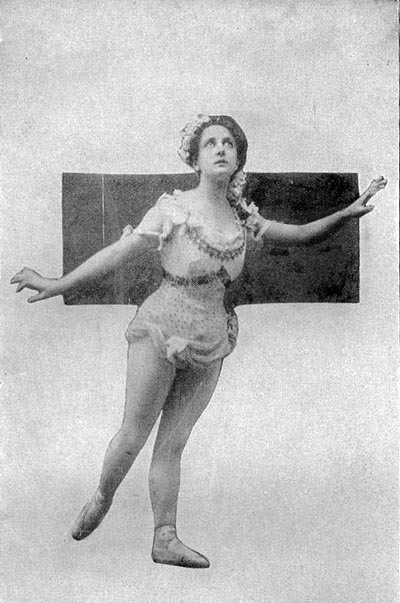 The picture on this blog post is Miss Nellie Reed, leader of the Flying Ballet, killed by the fire. Is Genealogy Today A Worthy Web Site?